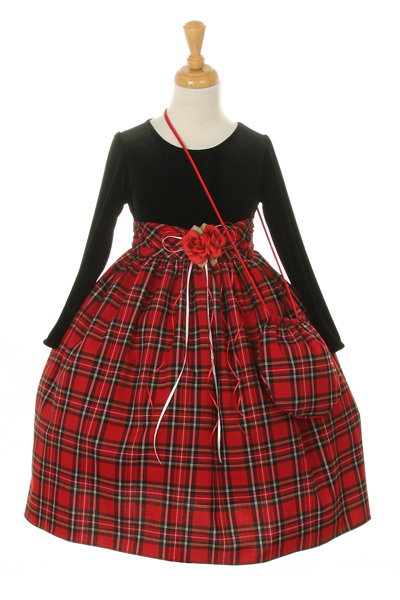 Gorgeous classic girls christmas dress features elegant stretch black velour bodice with red rosette at waistline and tartan plaid with lining and crinoline. Matching tartan plaid hat is included. Precious! For matching baby sister dress see style 4501B in infant sizes.